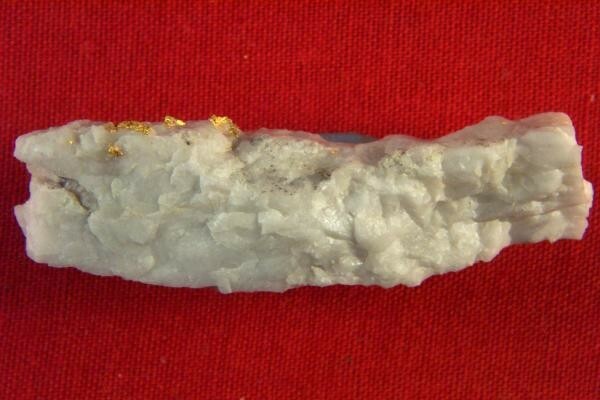 From the famous Harvard Mine in Jamestown, California, this beautiful gold specimen is on consignment from a prospector in California. 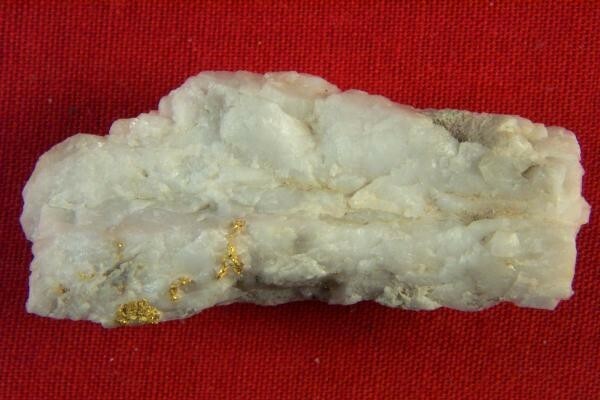 It has some nice outcroppings of brilliant crystalline gold. 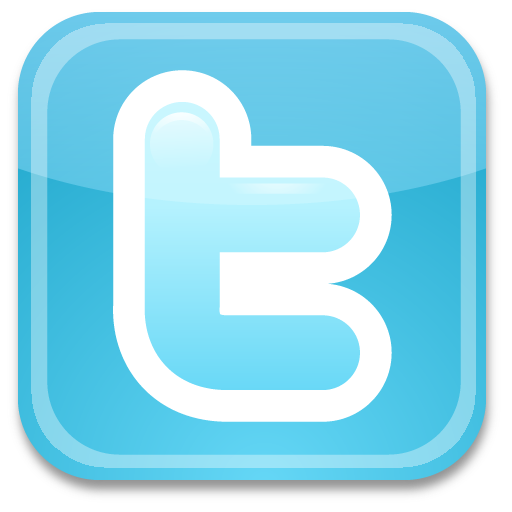 At 1.6" long x 5/8" wide (40 mm x 17 mm) it weighs 9.1 Grams. 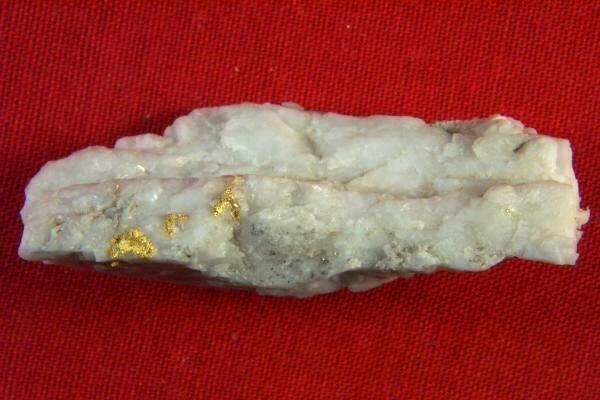 A very pretty gold in quartz specimen at a very reasonable price for your collection.